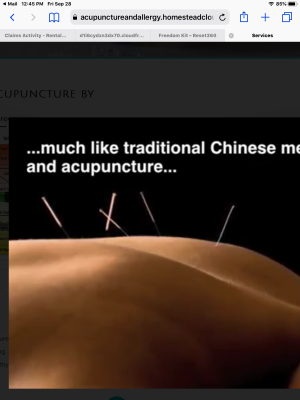 This is a computerized analysis measuring frequencies from acupuncture meridians on the body. A flat probe is used on the fingers and toes to obtain these readings. Since the acupuncture meridians have pathways to organs alongside the nervous system, we can use this method to reach our goal. A reading of 50 indicates that the organ or meridian is balanced. Readings above or below 50 indicate chronic or inflammatory process in organ or meridian. Prebiotics active in different areas of the body, homeopathic and herbal remedies are used to bring the body into balance once again. We use acupuncture to mainly work with pain, injuries, and to provide additional support in between EDS appointments. Except for situations involving injuries and pain, most clients start with Electro-dermal Screening. 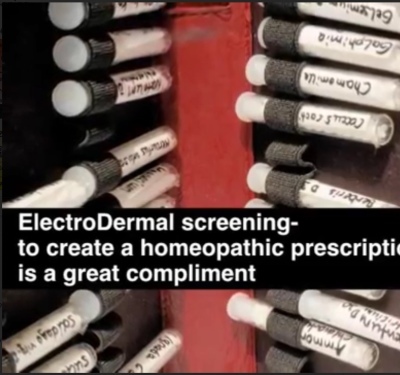 We use combination homeopathics and herbs. Individual substances are rarely recommended alone. A carefully balanced recipe of several different herbs are specifically tailored for each person’s entire health condition. Each herb is chosen for its own specific functions. Combination of different herbs chosen will enhance the strengths and reduce the side effects of each other. The combination of substances in a formula creates a new therapeutic agent that can resolve imbalance and symptoms much more effectively and completely than a single substance. 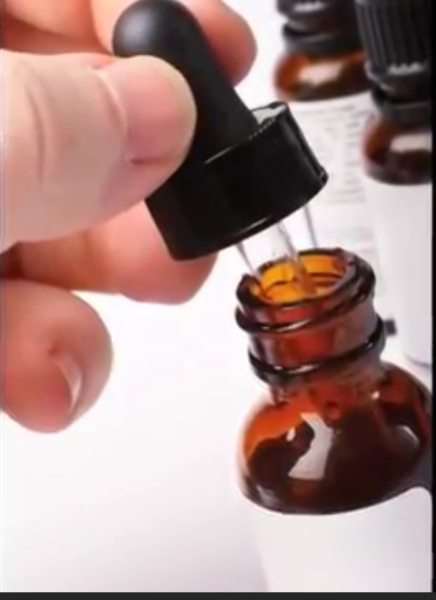 Homeopathic tinctures are diluted versions of herbal formulas allowing sublingual absorption which is gentler on the system.